The Ghana Education Service (GES) is downplaying allegations that parts of the new curriculum for basic schools were skewed towards touting the achievements of the President’s uncle, Dr. J.B Danquah. As a result, a section of the new GES curriculum which highlights the works of JB Danquah in 1945 is raising more eyebrows. But GES insists that claims that Dr. Kwame Nkrumah had been sidelined in the new curriculum are misleading. “When we were developing the Curriculum, we worked as technical people. We will make the list of the history developers available very soon so that people can check their background to see where they are coming from. We didn’t select people on the basis of political colorization. They were selected based on their competencies as historians in our country,” the GES Head of Curriculum, Dr. Prince Armah said on The Point of View. 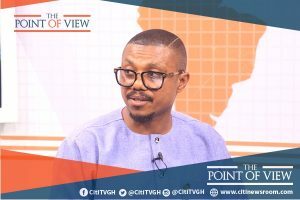 The post Inclusion of JB Danquah in new curriculum not to score political points – GES appeared first on Citi Newsroom.